While player movement around the National Basketball Association will not begin for another three months or so, there are multiple front office vacancies around the league that still need to be filled as the 2019 NBA Draft and free agency period begin to inch closer and closer. Naturally, multiple Denver Nuggets executives have been targeted by rival teams who are looking to revamp their front office and begin re-directing their franchises in different directions. That is not surprising in any way considering that the Nuggets have been able to put together arguably the most efficient rebuild of the past decade. Right now, the New Orleans Pelicans, Washington Wizards, and Phoenix Suns all are looking for someone to lead their basketball operations department while the Minnesota Timberwolves are still deciding if they want to “retain or replace” general manager Scott Layden according to Marc Stein of the New York Times. Booth, who will be turning 43 years old in just over a month, has been the secret weapon of the Nuggets front office as they have navigated one of the most successful rebuilds in recent memory. 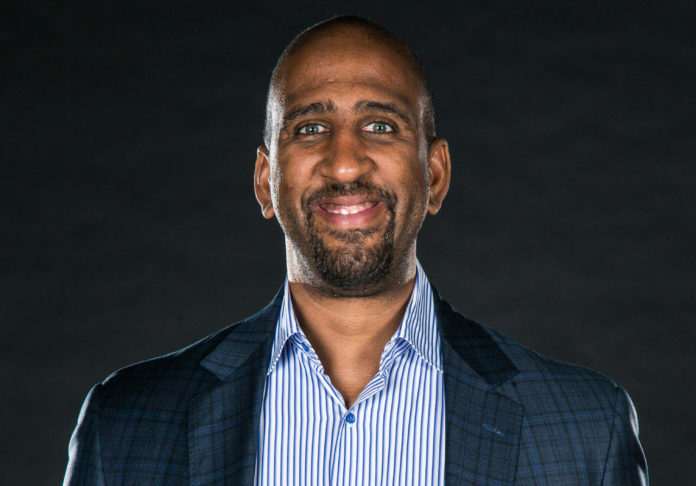 He has an undying work ethic, is incredibly poised, and has shown that he has the connections, drive, and passion to be a top-flight executive in the NBA despite his general inexperience as a high-ranking executive. It makes a lot of sense that the Timberwolves are interested in bringing Booth into the fold considering that he spent four years in Minnesota’s front office from the 2013-2017. 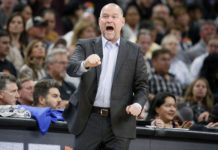 Booth began his tenure with the Wolves as a scout before being promoted to Director of Pro Personnel in the final year of his four-year stay with the Timberwolves. After his four years with Minnesota, Nuggets president of basketball operations Tim Connelly brought Booth to Denver as an assistant general manager which is the role he currently occupies. Despite their interest in Booth, there will be a couple big obstacles in front of the Timberwolves if they truly want to find a way to hire him away from the Nuggets. First, Booth originally got his start in the NBA back in 2012-13 as a scout for the New Orleans Pelicans. The man who helped facilitate the hiring of Booth was none other than Connelly, who was the assistant general manager of the Pelicans back then. There is a loyalty and a friendship between Booth and Connelly that will factor into the situation. Secondly, and most importantly, back in mid-February, the Nuggets announced that Josh Kroenke had extended the contracts Connelly and his entire staff which included Booth. 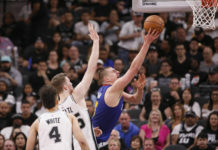 With Booth just signing a new contract less than two months ago, the Nuggets will not be in a hurry to let go of their rising star in the world of NBA decision makers. Here is the statement that Kroenke made after the extensions of the entire front office were announced. 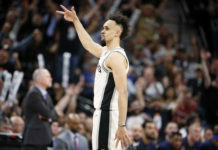 With Booth’s rising acclaim among NBA franchises, his name will almost assuredly continue to pop up in rumors more and more often. Still, one fact that Nuggets fans can take solace in is that the Nuggets recognize how important his contributions are which hopefully leads to a push to ensure that Booth stays in Denver for the foreseeable future. In a text to Mile High Sports, a member of the Nuggets front office, when asked how important Booth is to their front office, only replied with four letters, which were all capitalized.